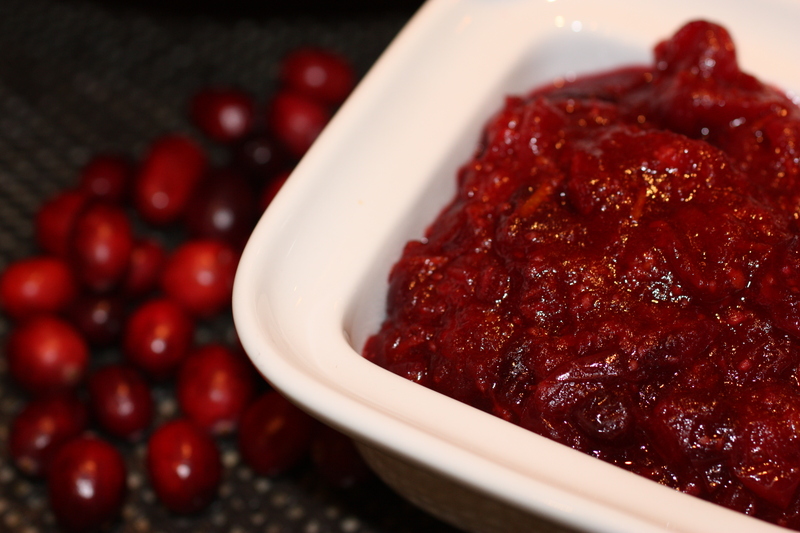 Thanksgiving wouldn’t be complete without my mother’s cranberry chutney, but it involves so much chopping that it can become more of a project than I have time for. This healthy alternative couldn’t be more simple, which means that not only do I make it for the holiday, but it’s my go-to winter dressing for everything from pot pie to lentil loaf (that is if I can keep my kids from devouring it before I get it to the table)! 1Combine cranberries and pomegranate juice in pot over medium heat. Bring to boil, reduce heat to simmer and cook cover for 5 minutes to soften berries. Add maple syrup and ginger simmer 5 minutes longer. Remove from heat and stir in zest. Set aside for 10 minutes to cool slightly and set before serving. Sauce can be stored in an airtight container in the refrigerator or freezer.